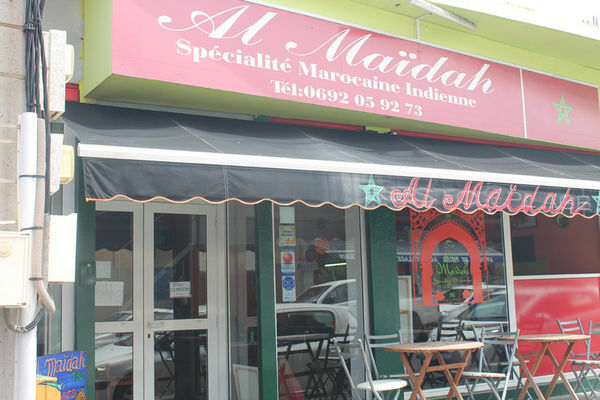 Al Maïdah restaurant, in Saint-Pierre, serves traditional Moroccan and Indian specialities, oriental pastries, mint tea (offered if you eat in). 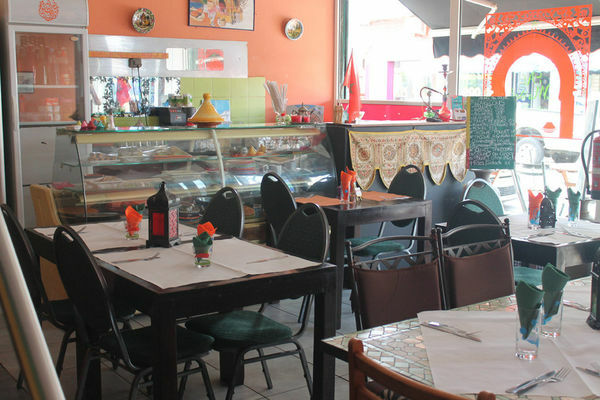 Couscous, tajines (chicken, lamb, Merguez sausages …), oriental pastries, mint tea (offered if you eat in) served in family setting. Enjoy two different courses every day. Speciality of the restaurant : lamb tajine with prunes (lamb shanks). 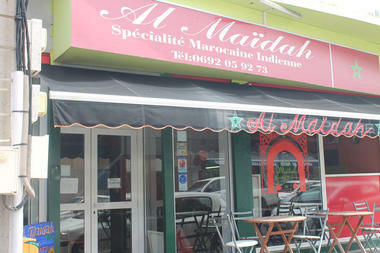 Al Maïdah restaurant is situated in Saint-Pierre, on the seafront, behind la Crêperie Saint Malo and opposite the House Pizza. Open from 11.45 a.m to 2 p.m & from 18.45 p.m to 11 p.m except on Sunday and Wednesday..